Aarsleff is aware that all its activities influence its surroundings, both environmentally and socially. In its sister manufacturing facility, the Harvester collects all the rainwater from its curing chamber roof that can hold up to 75,000 litres of rainwater. All the fresh water used daily to wash out the mixers is recycled. One typical day can see Aarsleff use 13,000 litres of recyclable water. Furthermore, all the rainwater off its concrete floor area runs into the waste pits around the Batching Plant and will be used as recyclable water going into its mix. In the manufacturing process, all the waste concrete blocks go for crushing to be used as hard-core. Aarsleff’s state-of-the-art Centrum Factory also enables it to manage materials onsite, and in turn reduce the number of deliveries to and from the site, thus reducing Aarsleff’s carbon footprint. 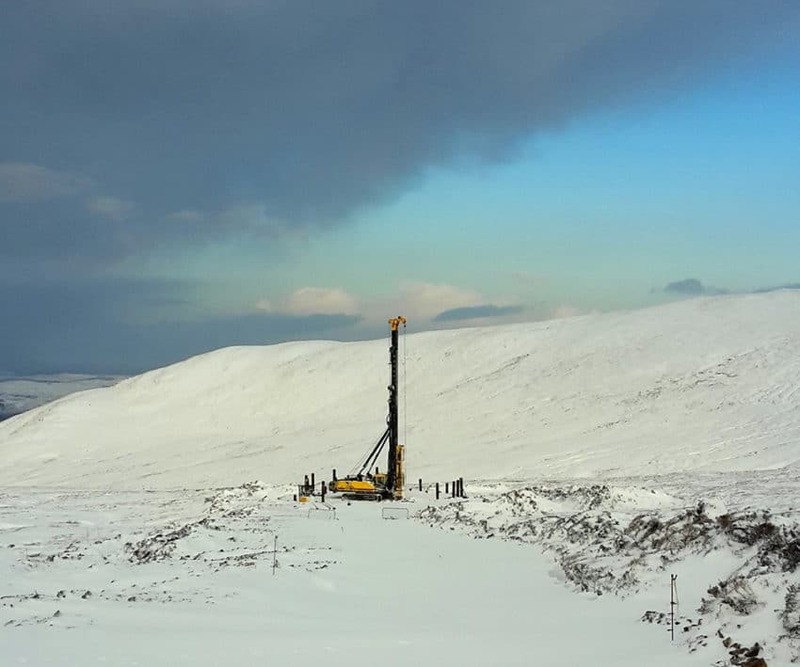 Aarsleff cares about the environment in all its forms and recognises that preservation of the environment should be an integral and fundamental part of its operations, whether its installing sheets, driving piles or stabilising slopes. Aarsleff continuously monitors and adapts working practices and equipment to improve the environmental impact of noise and vibration in its working practices. It can operate in sensitive locations. 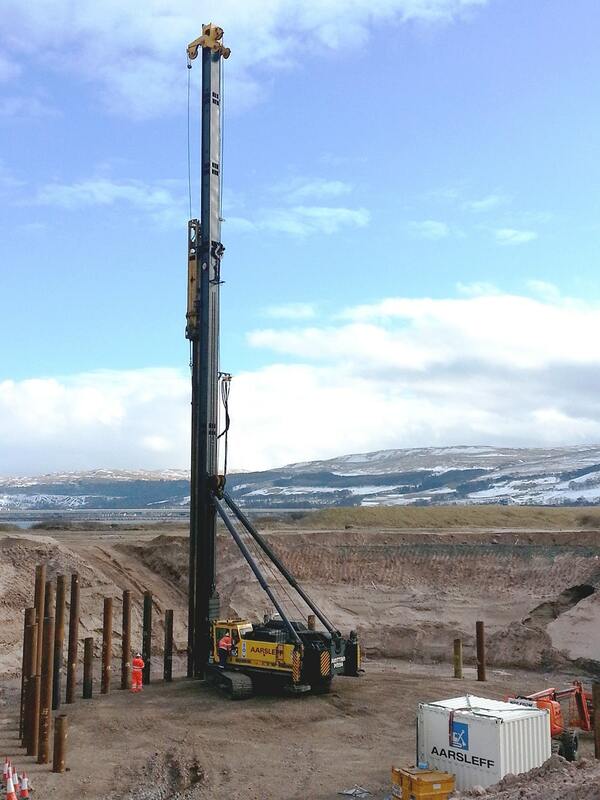 The piling hammer can be shrouded to reduce sound emissions at source and where adjacent structures are sensitive to vibration, the hammer fall height can be finely controlled to minimise the effects of pile driving; alternatively, pile positions can be pre-bored, or steel tubes driven. 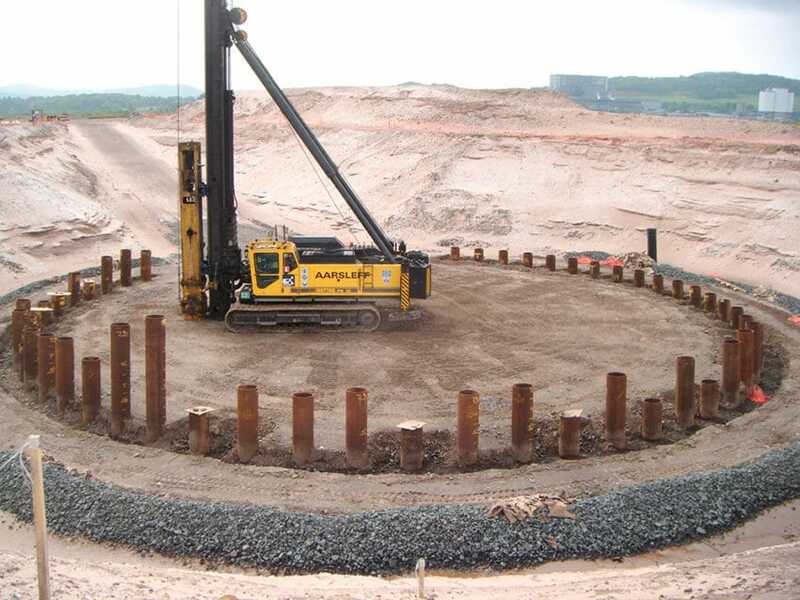 Categorised as a Modern Method of Construction (MMC), precast piles use less natural materials and less cementitious materials per unit load carried than an Insitu formed non cased pile. The offsite manufacture of Aarsleff’s products provides several benefits with respect to QA, reduced energy and carbon consumption, durability and low waste, while their driven installation benefits from low spoil production. 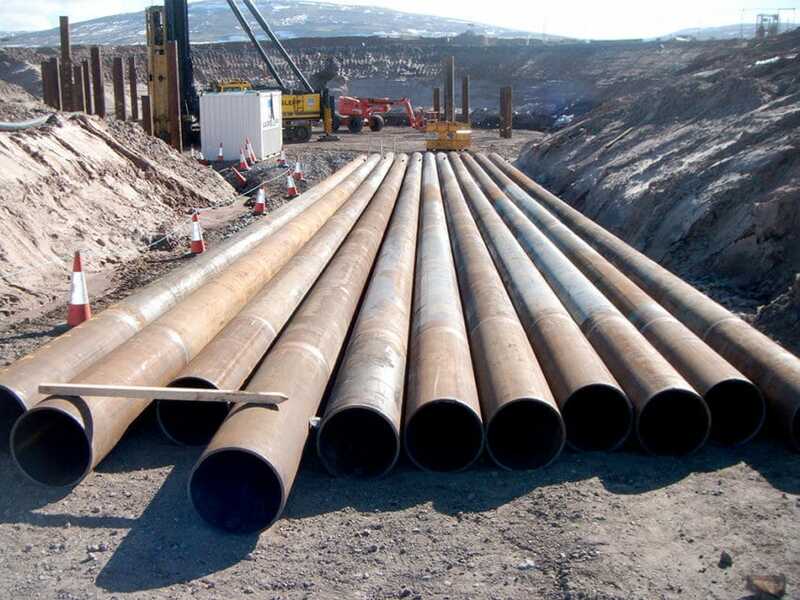 Aarsleff’s geotechnical engineering practises are sustainable for several reasons, including the use of alternative, environmentally friendly materials, and the reuse of waste materials. 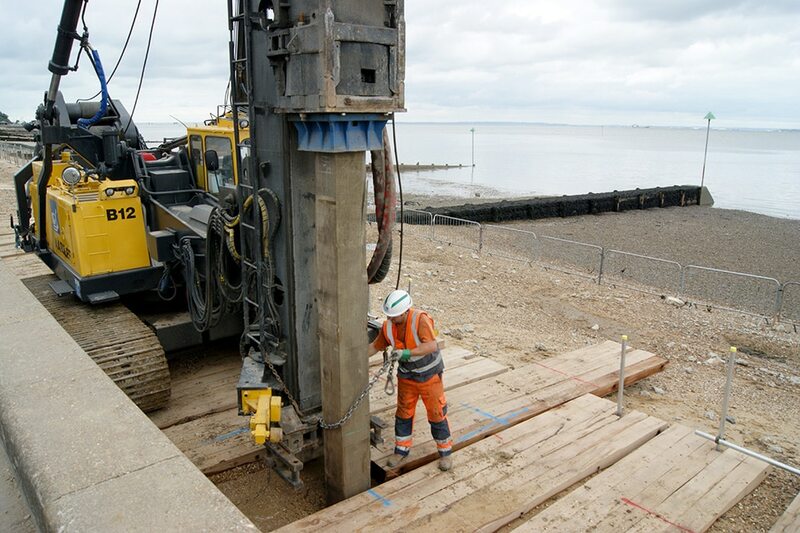 Aarsleff Ground Engineering propose King Post Walls when suitable as a viable alternative to sheet piling, allowing our customers to make maximum use of available space and enjoy the sustainability benefits from a precast products comparatively small footprint. The sustainability benefits are particularly notable on a brownfield site. Being precast, the products keep the surrounding ground intact so that there is no need to transport contaminated excavated material away which in turn minimises disruption to the local neighbourhood. Furthermore, the operation itself is a clean process – both environmentally (since there are no vehicle emissions associated with disposing soil) and logistically (wet concrete was not being handled). Click here to download our brochure on Sustainability! Through collaboration with academic institutions, Aarsleff make sure its techniques are at the forefront of innovation, so that it can offer the most effective, smart and sustainable all-round solutions for our customer’s challenges. 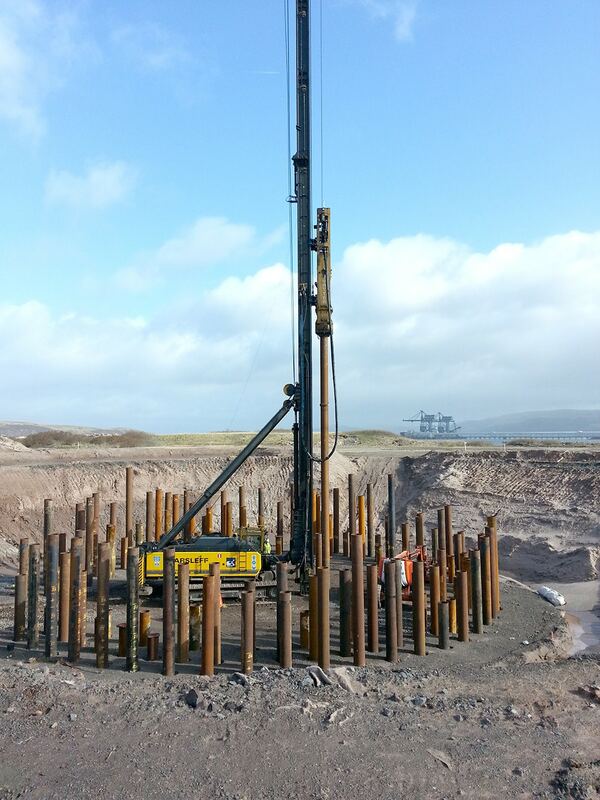 From Aarsleff’s own research and development with Sheffield University, and the resulting technical paper, we demonstrated that Aarsleff precast piles use 10% less concrete, and 5% less steel, than a comparable large-diameter cast-in-situ vertical pile. The Environment Protection Act 1990 requires employers to take measures to protect the Environment. Aarsleff Ground Engineering Ltd cares about the environment in all its forms and recognises that concern for the environment should be an integral and fundamental part of its business. The company is aware that its operations affect the environment; its objective is to balance the needs of its business aims with the need to protect the environment, particularly that local to its operations. This is evidenced by Aarsleff’s ISO 14001: 2015 accreditation.